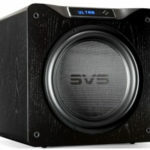 Between the first and second quarter of 2010, Doug Schroeder and Bruce Brisson, founder and lead engineer of Music Interface Technologies Cables, exchanged emails on an article that Doug was preparing. The result is the present Interview article. Among the 27 Questions asked by Doug, Bruce sent a 1,371-word reply to one of the questions. The depth of inquiry by Doug throughout the article is unprecedented in Dagogo’s pages, and the revelations presented by Bruce’s extremely well written responses are an industry insider’s dream fulfilled. Dagogo is excited to share this in-depth interview article with our readers. Because of the length and scope of the article, it will be published in two parts. This is part 1 of 2. Doug Schroeder and Dagogo would like to thank Bruce Brisson of MIT Cables for spending the time answering the questions about his company’s MA Series cables and the Z Powerbar. First of all Doug, it is good to understand that all cables possess what is called distributed inductance and capacitance. Voltage is stored within the capacitance and current is stored within the inductance for short periods of time. 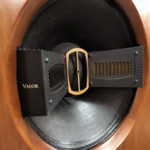 High-end cables must store, as well as release those voltages and currents in time, or in phase, or some of the music will be ‘miss-placed’ so to speak. In addition to the above, MIT adds additional capacitance and inductance in the form of what is called ‘lumped’ constants. 2. It has been said, “There is no free lunch.” The same would apply to a system which stores and releases current and voltage. Have you determined a measurement of inefficiency of the networks, i.e. loss of power through the storage and releasing of current and voltage? If so, what is that relationship and your thoughts about it? All electronic systems or networks store voltage in their capacitance and current in their inductance. Measurements such as the ‘Q’ or quality, the DF or dissipation factor, or the loss tangent of the component are used to quantify electronic parts such as capacitors and inductors. The loss tangent, as an example, is the tangent of the phase angle relationship between the capacitor voltage and capacitor current as the angle departs from the anticipated, or the theoretical 90 degree value. The measurable phase of every capacitor and/or inductor that is put inside a network box at MIT, as well as the cable itself are very important to us. In an effort to quantify every component, every networked cable that is developed at MIT undergoes testing during development. I own two Hi-Rel Hewlett Packard impedance analyzers, one stays at my home lab, and the other in my office at MIT. In addition, in order to insure quality control of every product, MIT additionally owns two additional impedance analyzers that we use on the production line. 3. The literature also indicates that the Oracle ACI and Oracle ACII Power Cords, which I still have in my possession to use with the Z Powerbar, are PFC equipped. If the power cords have PFC, as does the Z Powerbar, would there be any advantage to using them along with the Z Powerbar? That is a good question, and one that we frequently get phone calls on down at MIT. There is no way for myself or anyone at MIT to know how much Power Factor Correction (PFC) one will require in their system. Empirically though, I can tell you that if you overcorrect, the soundstage will collapse and the tonal qualities take on a very ‘gritty’ & ‘grungy’ sound. 4. How would you answer a person who says, “Whatever is gained through Power Factor correction will be offset by distortion added by the network”? First let’s understand what the power factor is. When the power factor is equal to 0, the energy flow is entirely reactive and returned back to the source. When the power factor is 1, all of the energy supplied by the source is consumed by the load and nothing is reflected back to the source. Furthermore, anything that is reflected back to the cable within the house / building from the load becomes energy that is out of phase, or out of time. MIT pioneered the use of this technology for home audio and video with the introduction of our original Z1 AC Power Filter back around 1991. I think to answer your question we should create a couple of scenarios to ponder. First scenario: The power factor is grossly less than 1, and the phase angle of the components within the power factor compensation network are almost perfect 90 degrees. That of course would be negative 90 degrees as measured on an impedance analyzer regarding capacitors. With this scenario one would anticipate a substantial improvement in sound by installing the power factor compensation network. Second scenario: If the power factor was just about 1, then there would be no noticeable difference regarding the sonics of the audio system and the virtually perfect components (as defined by their phase angles) would add nothing discernable to the sound. Third scenario: If the power factor compensation network was built using inferior parts, with poor phase angles, and the power factor was just about 1, then you would certainly degrade the performance of the audio system by injecting back into the system another form of noise. Injecting noise at the outputs is a common problem with AC Power Filters that attempt to use transformers or even so-called baluns in an effort to isolate the AC outputs feeding the audio system from the power lines. 5. Please draw a comparison of the treatment of the technologies between the technologies of impedance poles on the power cords and the Multipole networks of the interconnects and speaker cables. While MIT uses the term poles in describing the technology regarding both applications, the circuits are implemented very differently. The AC power cords, which are actually poles of attenuation, simply employ an array of low impedance filter poles in parallel, across the hot and cold legs that first absorb, and then turn undesirable noise into thermal heat. The interconnects and the speaker cables employ an array of networks in parallel to the cable’s unbroken conductor, or hot to hot legs, that store and release energy from the capacitors and inductors as in-phase power. We have technical papers on both of these applications on our MIT web site that your readers can download and print out and read if they wish. 6. Why is there such a long break-in time? In order to understand break in we must first understand what a capacitor is. All audio cables have capacitance. A capacitor is a device that stores an electrical charge, using a positively charged surface and a negatively charged surface with a gap between them. The gap is usually filled with a material that is called a dielectric, and this is where the voltage is stored. Capacitors tend to form a memory, but require periodic charging in order to maintain that memory. In some industries this memory is not desirable. However, in the audio industry it is. The length of time that is required to form the memory is called the cable break-in period, and the length of time the memory can be held in a given capacitor varies with the type of dielectric. Poor dielectrics will tend to take less time to break in, while the better dielectrics take much longer. Using low signal levels during break-in is sufficient. Most of the sonic problems associated with break-in will pass at around the 50 hour mark but complete break-in time will vary from system to system. 7. Have there been any changes to the Impedance Selector with the new models of MIT interconnects? If so, what has been changed? Is the actual impedance selection device identical in all the different models of MIT interconnects? Yes, there have been changes over time regarding both the switch as well as the network topology. However, as I recall, those changes were made many years ago. 8. I have noted that the Switchable Impedance feature has been described as the ability to, “tune the cable to maximize performance for each component’s specific impedance,” but I do not see a thorough discussion of the actual sonic changes which are expected via impedance selection. Please discuss the expected changes to the sound of components as a result of switching impedance. Generally speaking regarding interconnects Doug, impedances that are too high for a given cable will roll off the highs and diminish transients, while impedances that are too low for a given cable will emphasize the highs as well as their associated transients. 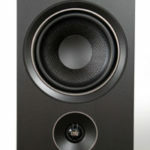 Audiophiles would be much better off using short interconnects and long speaker cables, particularly when interfacing components with high impedance balanced inputs. The loss of overall system bandwidth, and associated transient response, along with a skewed articulation response are most commonly found in high impedance applications. 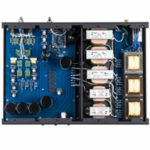 The input and output impedances associated with an audio systems front end are much, much, higher than the impedances commonly found between the output impedance of an amplifier and the input impedance of speakers. Low impedances allow one to manage the system bandwidth, transient response and articulation response much easier than via high impedance front ends. 9. I have heard and seen discussion of Impedance matching (output/input) being the “last (foreseeable) frontier” in component design, that being the still existing need to match impedance between components, i.e. preamp and amp, for best results. Is MIT claiming that the impedance of a component’s signal output can be effectively changed through the use of the Impedance Selectable IC’s? Properly matching impedances between the outputs of a component to the input of the next component of any audio system is very important, Doug. I believe that MIT has been doing this for well over ten years now, maybe fifteen? I think what we are claiming is that the outputs and inputs of the associated hardware being interfaced into a system can be ‘optimized’ to reduce various forms of audible distortions as I discussed in my answer to your last question. Essentially, we do the same thing in speaker cables Doug; it’s just that we don’t put a switch on them. We simply offer them as low and high bandwidth cables knowing that a high bandwidth amplifier will require a different impedance at higher frequencies, than will a low bandwidth cable. 10. How does the switchable impedance system work in the interconnects? Is a series of resistors utilized? If not, how is the impedance altered to suit the component? 11. Geometry of a cable, i.e. digital coaxial versus analogue interconnect, can influence the Impedance of the cable. Does the Selectable Impedance operate via resistors in series? If not, how is the change in impedance accomplished? 12. Among these factors which influence the quality of a cable, which would you rate as most important and which the least? Please rank: Articulation response, conductor material, geometry, impedance. Since the articulation is linked to the ‘systems’ impedance found with every interconnection, I would then have to rank Impedance number one (1) and articulation number two . However, since they are linked together, and function as one, then I will rank them together as number one (1). I would then rank the quality off the capacitance number two (2). We spec a Dielectric Constant (DK) of under three (3) for low to moderate priced cables, and a DK of around 2.1 – 2.3 for high end cables, and our reference cables use DK’s well under 2.0. I would then rank conductor geometry and conductor material as four and five. Conductor material is important, but once you understand how it actually affects the sound, you find it is actually easier to control those effects much more optimally in another manner. I will categorically state that 3 – 5 nines are all that is required for high end audio. I am not stating that you can’t hear the differences in a purer conductor; I am simply stating that it is more optimal, more accurate and much easier to correct for those distortions using other much more practical methods that also happen to be more reliable and accurate. 13. How might the use of DuoTech Cable Enhancer or other active devices damage MIT cables? The only negative I have regarding cable enhancers are the ones that use DC to bias up the voltage. Any capacitor can be damaged by DC, whether it is a lumped constant, such as we use in our network boxes, or a distributed capacitance such as the cable itself. 14. What precisely is the measurable component to “Articulation”? I noted that there is only data along one axis of the graphs used to display the poles of articulation. What precisely is the “measurable response,” which is said to correlate with hearing this increased detail, accuracy, etc. The literature describes the vertical axis scaled, “as a percentage”. A percentage of what, precisely? Put another way, what is the value of “1X articulation”? The articulation measurement is simply an outgrowth of our 30-year research into audio cables, Doug. When I designed Interlink Reference in the very late 1970’s for Monster Cable, I used the criteria of maintaining proper phase as related to Equivalent Skin Depth. Equivalent Skin Depth relates to how deep each frequency will penetrate a copper conductor. Later, when I left Monster in 1984 to start MIT I began modeling audio signal carrying cables against the criteria of low pass filters. Some of your older readers will remember the original Shotgun Speaker cable design that used large doubled up cables. Internal to this large doubled up cable the actual signal carrying conductors formed a tight loop, and were brought tightly together insuring high Mutual Inductance. I had therefore created a ‘distributed’ low pass filter. The end result was the higher inductance dropped the Frequency Cutoff frequency (Fc) of the cable, because it was functioning as a low-pass filter. This in turn helped in stabilizing amplifiers of that time period while also reducing the amplification of extraneous noise. That technology made MIT very famous during the mid to late 1980’s. However, the product had a high Wife Acceptance Factor (WAF), including my own wife who said she did not want that ‘ugly’ cable in our family room. So, as with all husbands, I listened to my wife! I went downstairs and began designing what would be known as the MIT CVT and Terminator technologies. Those original CVT and Terminator designs moved us from using distributed technologies, to using ‘lumped’ constants housed within metal enclosures just as they are offered today. I believe I released those designs around 1991 – 1992. My oldest son, Tim Brisson, graduated with his EE around the same time. By this time I needed another person in the Lab, and I quickly hired Tim and that made three. Tim was with me for about 9-years total, and is now a Patent Attorney. During the time period that Tim was with me, we purchased or developed various different test and measurement equipment looking into just about anything that could help us move forward with our designs. I am thinking it was around 1994 – 1995 when Tim and I developed what we called the ‘Efficiency’ measurement. This measurement was calculated from the complex impedance (LC&R) of the cable, and or the sum of the combined elements of cable and network together. I have never really liked to travel, so Tim toured the USA and many foreign countries demonstrating the Efficiency measurement for our USA reps, foreign distributors and their salesmen, as well as putting on many seminars for audiophiles during the time he was employed by MIT. Sometime after Tim left, I went to work with Hewlett Packard to develop an FFT that was a single shot, single channel instrument. Most FFT’s use two channels, where one is the reference channel and the other is used to measure the Device Under Test (DUT). The resulting measurement displayed on the monitor is simply the difference between the two channels. I had always felt that since all I was measuring was wire, that an FFT with a single channel would be better. This machine was also very, very fast having a bandwidth of 10 Megahertz. This insured me that the digital filters within the FFT would not influence my measurements. I was also able to use two differential probes on this machine to measure both voltage and current in a highly dynamic state. And finally, information stored in one of my Hi-Rel HP impedance analyzers regarding the Device Under Test (DUT) was downloaded into the FFT’s memory. From measurements made using this complex test and measurement architecture I was now able to measure certain things much more precisely, and up to a much higher frequency than I had been able to measure before. From those measurements we were able to improve on the efficiency measurements that Tim and I had co-developed, and I was able to determine that dynamically, or instantaneously, a cables voltage and current were really only in-phase over a short span of audio frequencies. This span of frequencies is where the highest in-phase power (power is simply Voltage times Current) was arbitrarily being created by various different cables. This is dependent on the absolute (ABS) value of that cable’s (L&C) as well as the instantaneous phase of the (L&C), of any given cable, at a given frequency. In summary I found that I could now measure a ‘Pole’ of power at some ‘arbitrary’ frequency within every cable. We also found that by adding specially engineered networks we could add additional poles of power at ‘other’ frequencies. Adding additional poles of in-phase power allowed us to achieve a ‘flat’ In-Phase power curve and the cable would then ‘articulate’ the same at any frequency. This is similar to driving a car that possesses a wide, flat torque range. Horsepower is simply the ability for an engine to intake air and generate heat, while torque is the actual twisting force obtained from generating that heat. Heat is energy, and energy is used to create work over some period of time, which results in power. We in America call the work performed horsepower, while other countries call it Watts. If the torque remains constant over a wide range, or span of operating RPM’s, then when one depresses the gas pedal at any RPM within that operating range, the car will accelerate with the ‘same’ forward motion because the twisting force, which moves the automobile, is the ‘same’. In a similar manner, MIT simply installs networks that store Voltage and Current linearly, over a definable or preset range of frequencies. This way, when the cable is stimulated with a complex tone that contains a wide range of frequency components, the cable will ‘articulate’ the ‘same’. Why? Because it is delivering back to the cable, the ‘same’ amount of energy from the network to the load that was delivered to the networks from the source. This energy is now called a pole of in-phase power, and it can now be transported to the load to perform work. If one desires, one can look at the published horsepower and torque figures of an automobile and divide the torque by the horsepower. This will give you what I and some others call the ‘drivability’ factor. This drivability factor is given as a percentage. As an example, take my Audi RS6, which is equipped with a twin turbo charged V8 that puts out approximately 450 horsepower and 415 lb-ft of Torque. If we divide the torque by the horsepower, we get a drivability factor of 92.2%. In addition, the torque is pretty much a flat curve from around 1,950 RPM to just about 5,500 RPM. If the drivability factor is 92.2%, at each and every RPM between 1,950 RPM and 5,600 RPM’s, then the car will respond the same way each and every time I depress the accelerator pedal. Simply put, I have done the same thing with our cables. Our best cables will deliver around 50% articulation over a very, very broad range of frequencies, from somewhere around a fractional Hertz (less than 1Hz) up to around 150 kHz. This means that whenever the cable is stimulated by a complex tone containing a wide range of frequencies, the cable will deliver all of the frequencies contained within that tone with the same articulation. Similarly, as with the drivability factor I cited earlier regarding the Audi, we give that articulation value as a percentage. MIT has decided to call the 50% point the reference point. Anything over that value, we consider as being overly articulated. Anything under that value, we consider to be under articulated. These are reference points that I have established for this test. There are reasons for the 50% reference line, but I am not able to go into those reasons yet as I still have other patents pending. We also give the number of articulation poles on each of our products. This is our way at MIT of quantifying the performance of each networked MIT cable versus ‘Just Wire” as well as an easy method for customers to compare costs versus performance.